“Major general? !” As news spread back in the Starry Sky Dao Polarity Sect, people were initially taken aback, and then quickly sank into astonishment. Big Fatty Zhang had long since succeeded at forming his Will Core and had been taken in as an apprentice by the hallmaster of the hall of Devil Slayers. He was in the middle of a session of cultivation when the news came in, and was immediately enthused. Meanwhile, back at the Great Wall, the five legions were in an uproar. Earlier, they had heard Bai Xiaochun’s request, but hadn’t seen any confirmation that the promotion had been granted. But then, moments later, the message was sent out indicating that Bai Xiaochun had indeed become a major general!! Chen Hetian, Bai Lin, and all the other generals were shocked. After exchanging glances, a strange expression appeared on Bai Lin’s face, and Chen Hetian looked up wryly at the true spirit in the huge eye. Clearly, the promotion was the true spirit’s way of thanking Bai Xiaochun. After all, a huge amount of vengeful soul like that would be unprecedentedly useful to the true spirit. In the end, Chen Hetian sighed and decided not to worry about the matter any more than necessary. “Bai Lin,” he said, “considering that Bai Xiaochun is a Skin Flayer, why don’t you arrange for one of your current major generals to retire....” Then, he departed, shaking his head the entire way. Seven days sped by in a blur. The entire time, Great Wall City was filled with talk of Bai Xiaochun handing in souls, and his promotion to major general. In fact, such stories would continue to persist for much longer than seven days. Although countless cultivators were envious of what had happened, it also sparked hope in their hearts. Suddenly, they felt much more anticipation for the possibilities their own futures held. Bai Xiaochun was extremely famous by this point. Although his name wasn’t necessarily known among everyone in the three major cities within the Great Wall region, everyone in a position of power had heard of him. Something else happened during the seven days which passed. The major general of the 3rd Corps, of which Bai Xiaochun’s regiment was a part, was convinced by Bai Lin to return to the Starry Sky Dao Polarity Sect. That major general wasn’t angry with Bai Xiaochun, but rather, quite grateful. He had been serving at the Great Wall for far many years, and upon returning to the sect, would become an elder in the Hall of Steel Veins. He would also be generously compensated by the sect for all the battle credit he had accumulated. Although he would miss the Great Wall in some ways, going back to the sect was actually the best option for him. Normally speaking, major generals were such important people that they couldn’t just leave the Great Wall whenever they wished. In fact, the other major generals were actually a bit envious. Before leaving, he visited Bai Xiaochun to both express his thanks and also transfer his personal staff over for Bai Xiaochun to make use of. Bai Xiaochun was quite moved at the man's sincerity, and guaranteed over and over again that he would treat the staff extremely fairly. A few days after the old man left the Great Wall, Bai Xiaochun’s official commission was handed down. 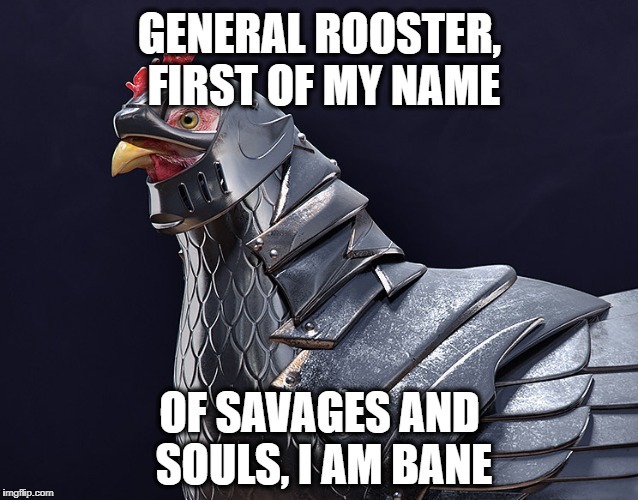 He was now the major general of the 3rd Corps of the Skin Flayers! The day the commission came down, Bai Xiaochun was trembling with excitement, and looked as proud as a rooster as he put on his intimidating, glittering major general's armor. The suit of armor had a built-in spell formation that, upon activation, instantly caused his entire person to blur and distort, as if intense, shocking energy were building up. His hair even flew around him wildly for a moment before his features became clear again. With that, he pulled out his copper mirror to examine himself. Imposter Nightcrypt’s soul appeared within the mirror, holding back a sigh as he put a shocked expression onto his face. Of course, Bai Xiaochun was elated by his response. After a long moment passed, imposter Nightcrypt seemed to recover from his shock, and then began to praise Bai Xiaochun in very exaggerated fashion. Imposter Nightcrypt rolled his eyes inwardly, well aware that if he did as Bai Xiaochun had actually asked, and stopped flattering him, then Bai Xiaochun would punish him. “I don’t like brown-nosing either,” imposter Nightcrypt said. “Nobody in this world does!” Inwardly, he was filled with disdain, but didn’t show that. Instead, he continued to flatter Bai Xiaochun for the time it takes an incense stick to burn before actually getting around to answering the initial question. “That armor was made specifically for you, wasn’t it? It fits perfectly! Although, I do have to say that the reason it looks so intimidating isn’t because of the armor itself, but because of how you wear it!” Hearing imposter Nightcrypt’s boot-licking was one of Bai Xiaochun’s favorite pastimes, and he truly admired his way with words. Finally, he cleared his throat, tossed some medicinal pills into the copper mirror, and then somberly walked out of his residence. When they shouted their greeting, their words echoed about as loudly as thunder. Seeing 10,000 people lined up in front of him caused Bai Xiaochun to sigh inwardly and think back to how he had come to Great Wall City all by himself, and had climbed from the rank of lieutenant to captain, and then colonel. Now, here he was at the very pinnacle, a major general. The mere thought of how much work he had put into becoming a major general left him sighing ceaselessly. With that, his thousand-man regiment from before stepped forward and fell into ranks around him to act as his personal guard. At the same time, the ten colonels under his command also stepped forward. As they flew up into the air, the rest of the corps spread out to clear a path and make sure no one got too close. Bai Xiaochun felt extremely excited to be so awe-inspiring, and was very pleased that all of his hard work had paid off. He even made sure to proceed along slowly so everyone could look at him, and also took time to chat with his colonels. The cautious way they carried out conversation with him left him very pleased. Quite a few people noticed that he was parading through the city. Some time back, he had done the same thing as a colonel, but this time, he was a major general. The news that Bai Xiaochun had been commissioned as the major general of the 3rd Corps of the Skin Flayers was big news in the Wildlands. Intelligence regarding him was actually very important in general there. Whether it was his exploding pill furnaces or his Soul Convergence Pills, everything he did seemed to hurt them. When the news reached Mistress Red-Dust in her command tent, she looked at the intelligence report before crushing the jade slip. “So that’s what happened the other day,” she said. “Bai Xiaochun turned in souls to get battle credit, which then earned him a promotion to major general.” Kneeling in front of her was a necromancer in a gray robe, whose cultivation base fluctuations placed him in the Nascent Soul level. “According to the information from our spies,” he said, “that's exactly what happened. More specifically, Bai Xiaochun handed in more than 1,000,000,000 souls....” Even the necromancer almost couldn’t believe the number he had just spoken out loud. “1,000,000,000....” Mistress Red-Dust murmured, her eyes flickering with cold light. After a moment, she waved her hand. “Send down orders to put Bai Xiaochun in 5th place on the Execution List. Increase the bounty on his head to two deva beast souls! “Yes ma’am!” the necromancer said with a somber nod of his head. With that, he left. Before long, word spread to Great Wall City that Bai Xiaochun was now in 5th place on the Wildlands Execution List, and that the reward for killing him had increased to two deva beast souls. When Bai Xiaochun heard the news, he was quite shocked. “How ruthless of them....” he thought. He almost couldn’t believe that the Wildlands hated him so much that they were willing to pay two deva beast souls to see him dead. Okay, I guess we can all now say that, "yes, yes, he is a major general!"